Twice nominated for Best Director back in the 1980s, Roland Joffé returns with 2018’s The Forgiven. 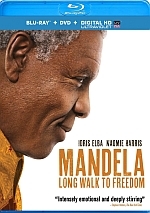 Set in post-apartheid South Africa circa 1996, Nobel Peace Prize-winning Archbishop Desmond Tutu (Forest Whitaker) heads the “Truth and Reconciliation Commission”. This group exists to examine and deal with human rights violations and potentially right various wrongs, all in an attempt to head off potential conflicts among the races. As part of this, Tutu meets with Piet Blomfeld (Eric Bana), a white South African inhabitant of Pollsmoor Maximum Security Prison. Via his position as part of former right wing organizations, Blomfeld seems to have been involved with various atrocities. Tutu investigates and digs into Blomfeld’s past, with additional hopes for the inmate’s redemption. That synopsis makes Forgiven sound like a political thriller, a story in which Tutu plays Woodward and Bernstein. This proves true to some degree, as Tutu attempts to find out what happened to one particular missing girl. While that sounds like a compelling through-line, the plot bobs and weaves too much for real clarity. Rather than concentrate on one particular issue, Forgiven flits around from topic to topic, a lack of focus that makes it inconsistent and spotty. 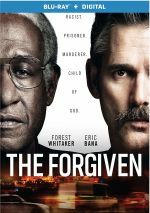 At its core, Forgiven seems to want to offer a battle of wills/minds between Tutu and Blomfeld, and their shared scenes become the movie’s best. As the eternally optimistic, positive Tutu faces down the racist, violent Blomfeld, a few sparks fly. Unfortunately, too much of the film flutters around other areas, domains that fail to catch fire. These feel like distractions from the basic purpose of the tale and they don’t add much to the experience. I get the feeling the filmmakers don’t trust the inherent drama of the one-on-one scenes between Tutu and Blomfeld. They appear to believe that too much emphasis on their dialogue-heavy interactions will leave the audience bored, I guess, so Forgiven tosses out other “action” bits that feel extraneous. Rather than add to the proceedings, these choices make the film less effective. When Forgiven goes too far away from the Tutu/Blomfeld core, it feels misguided and directionless. At least those scenes with the leads work pretty well, and both actors do nicely in their parts. Whitaker makes Tutu a kindly man of peace but still retains a little edge, whereas Bana proves fearless in his willingness to make Blomfeld as ugly as he needs to be. Despite the actors’ best efforts, though, The Forgiven never gets into gear. It lacks much forward momentum and often feels more like a collection of inspirational sayings than an actual narrative. The Forgiven appears in an aspect ratio of approximately 1.85:1 on this Blu-ray Disc. Overall, this was a positive image. In terms of palette, Forgiven went with mix of teal and amber. Overall, the hues were fine for their visual choices. Every once in a while, though, the mix came to life – in a moderate manner, at least. These didn’t dazzle, but they gave the mix reasonable breadth. Effects remained clear and accurate, with some pretty solid low-end response during louder moments. This became a fairly satisfying track for a chatty movie. The disc opens with ads for The Last Face, Hangman, Small Town Crime, 24 Hours to Live and Acts of Vengeance. No trailer for Forgiven - or other extras – appears here. When The Forgiven focuses on interactions between its talented lead actors, it threatens to prosper. However, the film veers from that side of the tale too often and it feels sluggish and inconsistent too much of the time. The Blu-ray presents very good picture with adequate audio and no supplements. Some good performances nearly redeem the film, but it drags too frequently to succeed.